In Bonza, you construct a crossword puzzle based on a clue and a set of letter boxes. Nowadays, I almost never read the newspaper. But I remember poring over the daily crossword puzzles when I was younger. 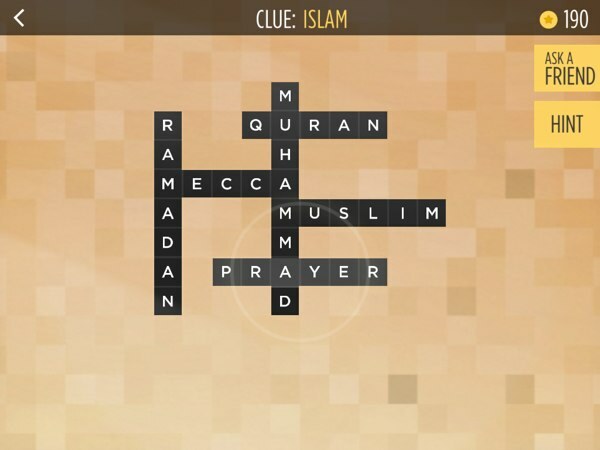 I love how they mix trivia knowledge and hint-based puzzle solving. Over the past few days, I’ve been enjoying a crossword puzzle game called Bonza Word Puzzle. It is unique in that it shows you a hint and a bunch of letter boxes that you rearrange to construct a valid crossword puzzle. Some days I visit the App Store and sigh at the appearance of yet another Flappy Bird clone. Other days I get lucky, and find a game that sweeps me off my feet. The most recent of such a game is Leo’s Fortune, a stunning side-scrolling platformer that recently won an Apple Design Award. Starring a mustachioed furball named Leopold, the game follows his quest through hazardous landscapes to retrieve his stolen gold. Many of you are probably familiar with the Red-Green-Blue (RGB) color model used in many electronic systems. But, there is also another model primarily used in painting. Called RYB, it is a color model used in subtractive color mixing. So, if you combine Red and Yellow, you will get Orange. Yellow and Blue will yield Green, and Red and Blue will yield Purple. Today, I have a brand new game that utilizes this color model as a puzzle mechanic. Called Watercolors, the game lets you paint your way to fill the glowing circles with the indicated colors. The game is simple to learn, yet difficult to master. 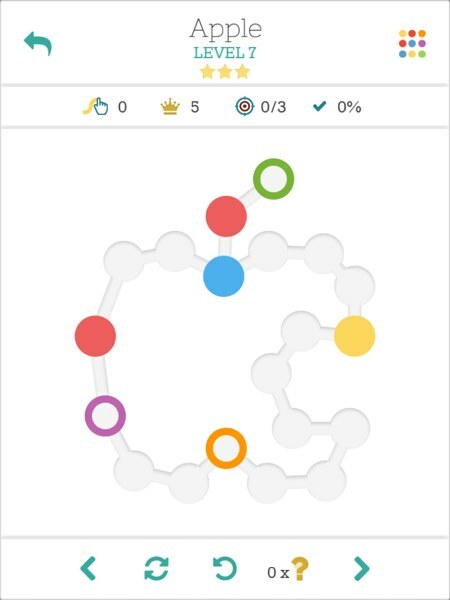 Watercolors is a color-mixing puzzle game where players need to paint the glowing circles with their designated colors. Watercolors have two game modes. The first mode is Free Play, which is suitable for beginners to grasp the game mechanic. The second is Time Trial, which should present seasoned players with added challenges. If you are new to the game, I would also suggest taking a look at the How to Play section first. The first level in Free Play, properly called Noob, teaches you how to paint your way from one source to its destination. It’s fairly simple because there is only one color involved. The subsequent levels are more complicated as they introduce multiple colors into the mix. A few days ago, Blizzard Entertainment released Hearthstone for iPad. Hearthstone: Heroes of Warcraft is a free-to-play digital collectible card game (CCG) similar to Magic: the Gathering. In late January, the game entered open beta for Windows and Mac platforms. After rolling out the iPad version for players in Australia, Canada, and New Zealand, Hearthstone for iPad is finally available to players worldwide. Hearthstone is a full online game. Every game is operated and tracked through Blizzard’s Battle.net. You will need to have a Battle.net account in order to play the game. You can also create this free account from the iPad app. Hearthstone is an online 1-on-1 turn-based strategy card game that’s available on Windows, Mac, and iPad. Hearthstone is a 1-on-1 turn-based card game. Each player brings a 30-card deck that is custom-fit to the Hero’s class. A Hero starts the game with 30 health points. To win the game, you need to reduce your opposing Hero’s health points to zero. In total, there are nine playable Heroes -- one for each class. In the iPad version, you start your journey as Jaina Proudmoore, a Mage class Hero. You can unlock the other Heroes as you defeat them in Practice game modes.